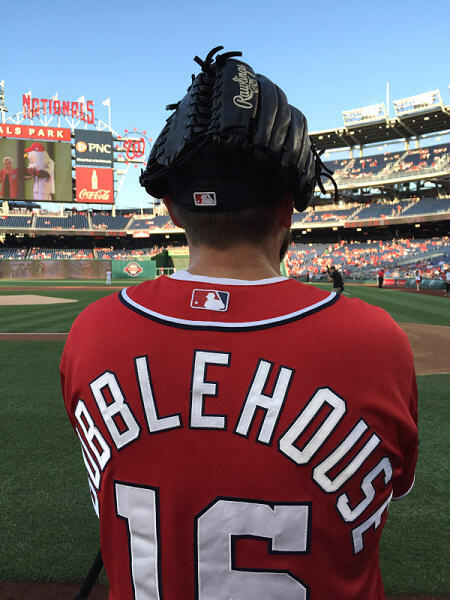 I’m Brad Wheedleton, Owner and Creator of BobbleHouse Industries. I’m just a guy who had a growing bobblehead collection that was getting out of control and wanted a better way to display and enhance my collection. I came home one day after another bobblehead giveaway and placed my newly acquired bobblehead alongside all of the others and decided that my homeless bobbleheads needed to have a place of their own. And not just any place of their own… A place they belonged! I spent that weekend creating the BobbleDugout and before long, friends were asking how they could get one, and then their friends, and their friends, and before I knew it… BobbleHouse Industries was created. Take a look through the Gallery to see some of the exciting BobbleHouses and other projects that I’ve created and please don’t hesitate to contact me if you have any questions.